The latest federal move in the fight to combat opioid abuse will have states sharing PDMP data with the DEA, and the agency sharing its database of 80 million annual drug transactions. The U.S. Drug Enforcement Agency has launched a coalition in partnership with 48 states, Puerto Rico and Washington, D.C., to share prescription drug information in support of ongoing investigations. 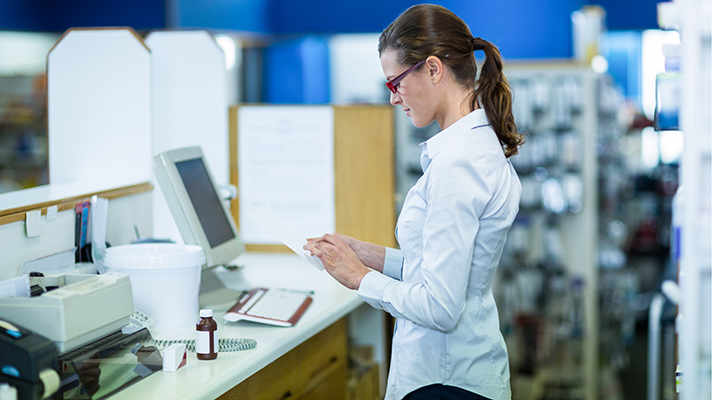 The coalition will give those participants access to the DEA's Automation of Reports and Consolidated Orders Systems, a database comprising 80 million annual prescription drug transactions from distributors and manufacturers. As part of the plan, states also will provide the DEA with prescription drug monitoring program data. The hope is to arm the DEA and states with necessary data to prosecute those contributing to the opioid crisis, according to Attorney General Jeff Sessions. "This partnership provides an unprecedented opportunity to use DEA and state resources and information to jointly combat pill diversion and trafficking," said DEA Acting Administrator Robert Patterson, in a statement. "We're losing far too many Americans to opioid abuse and addiction," he said. "I salute these states for their proactive efforts and know they will make a significant difference as we attack this epidemic across the country." The announcement is just the latest among federal moves to put a dent in the opioid crisis. Just a few months ago, President Donald Trump's opioid commission announced its support for the Prescription Drug Monitoring Program Act to fund a Department of Justice data sharing hub. The Trump administration doubled-down on its plans for a nationwide, interoperable PDMP last month. And just this week, the Senate introduced the Opioid Crisis Response Act of 2018, which calls for an increase in collection, analysis and sharing of prescription drug data through tech like EHRs, telemedicine and PDMPs.